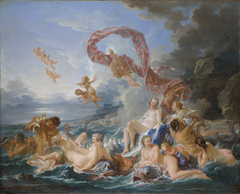 Born from the sea, the mythological goddess Venus sits upon a throne pulled by muscular men and surrounded by her entourage. 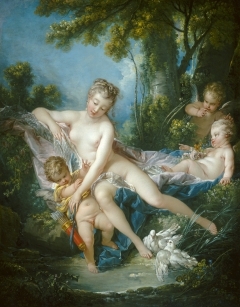 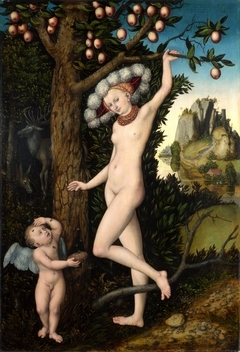 Her son Cupid flies nearby and grasps a handful of coral from a plate held by an attendant. 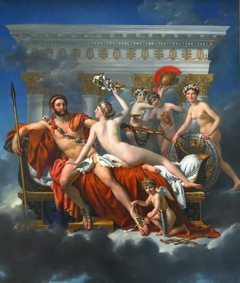 Perched above Venus, a woman holds a string of pearls, a typical adornment of the goddess. 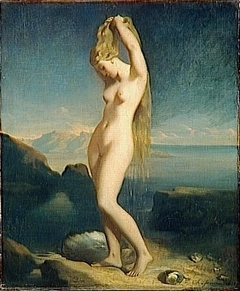 The pearls fall through her hair and down along her shoulder. 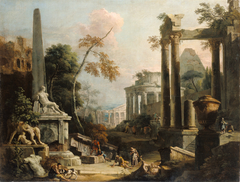 The composition is arranged in a loose pyramidal shape with Venus at the apex. 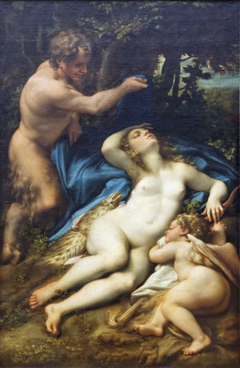 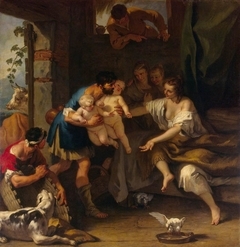 Sebastiano Ricci used an array of flesh tones to describe and model the playful, graceful figures, from the reddish-brown tanned skin of the athletic men to the light brownish-peach skin of the cherub blowing a conch shell in the lower right-hand corner and the even lighter flesh of the women. 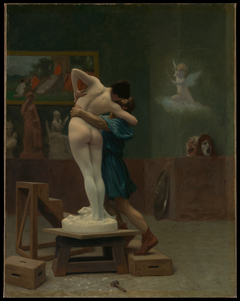 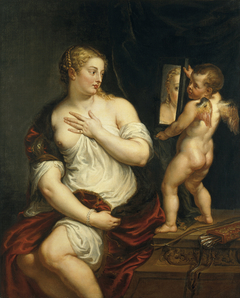 Venus's softly painted skin is a creamy white with touches of pink in her cheeks, chest, stomach, and knees; her flesh glows as if lit from within. 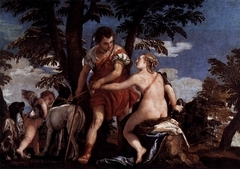 Against the blue sky, streaks of pink paint describe wispy clouds and fading sunlight. 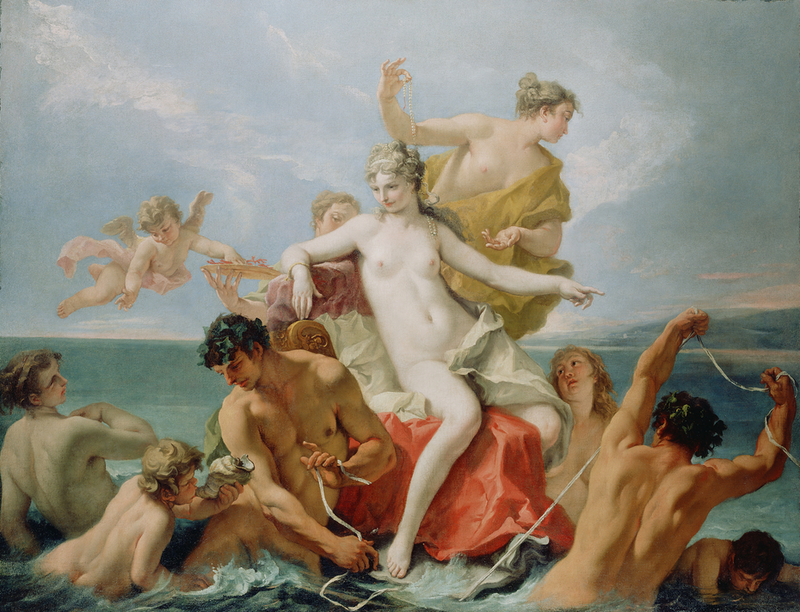 With the Triumph of the Marine Venus, Ricci made a transition from a more classical Baroque style of dramatic gestures, bold colors, and serious subject matter to a more Rococo style of light, pastel colors, elegant, graceful figures, and decorative compositional elements.